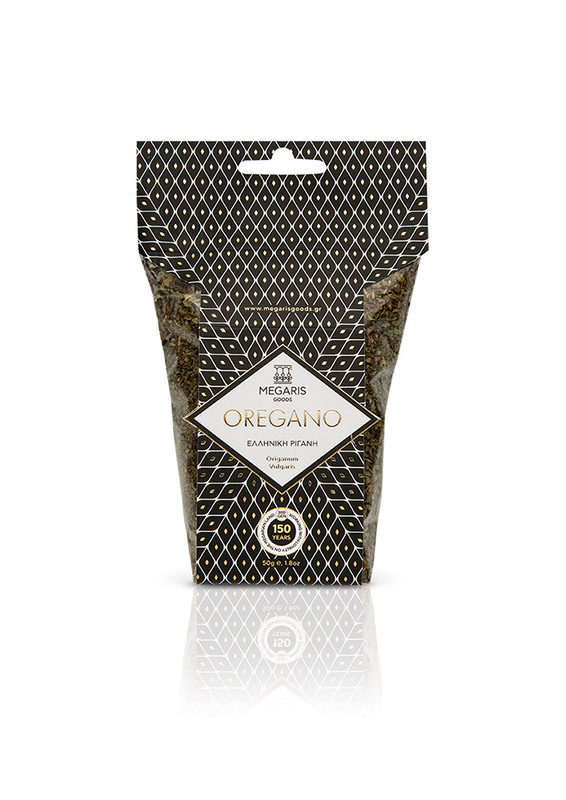 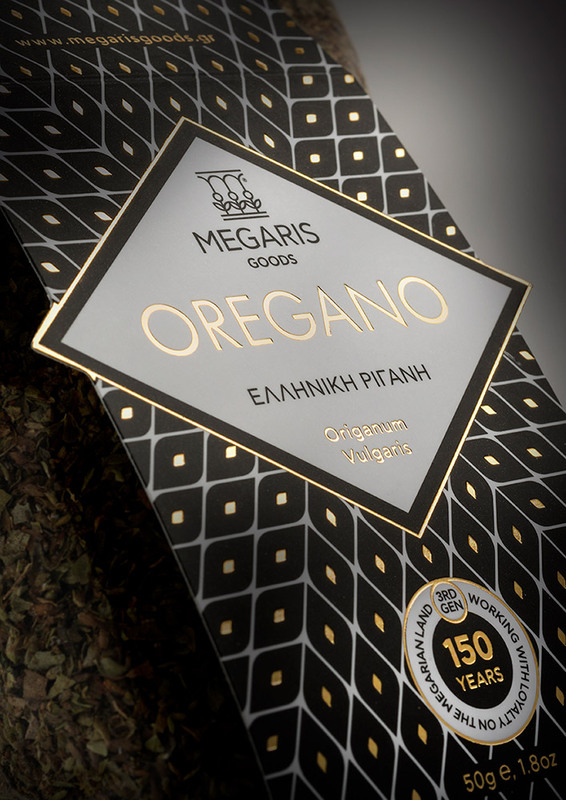 Oregano packaging for Megaris Goods. 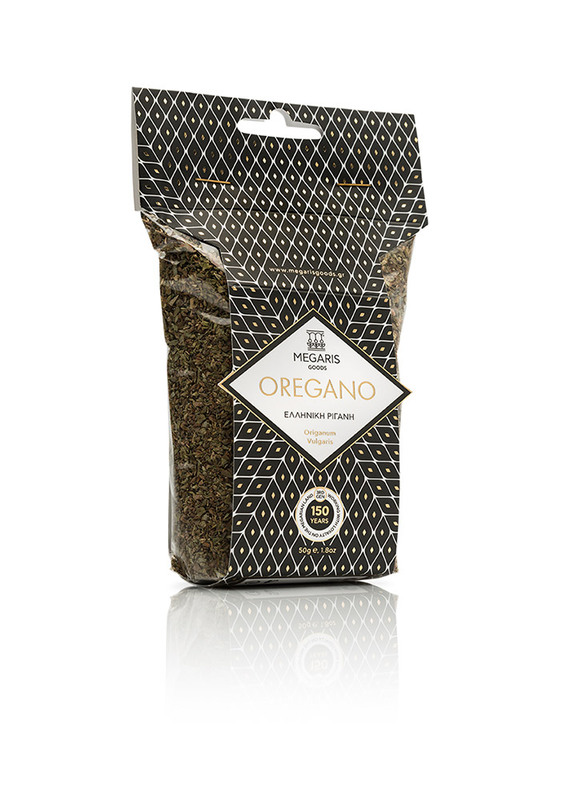 The main element of the design is a geometric pattern which is based on the shape of the flower of the oregano plant. 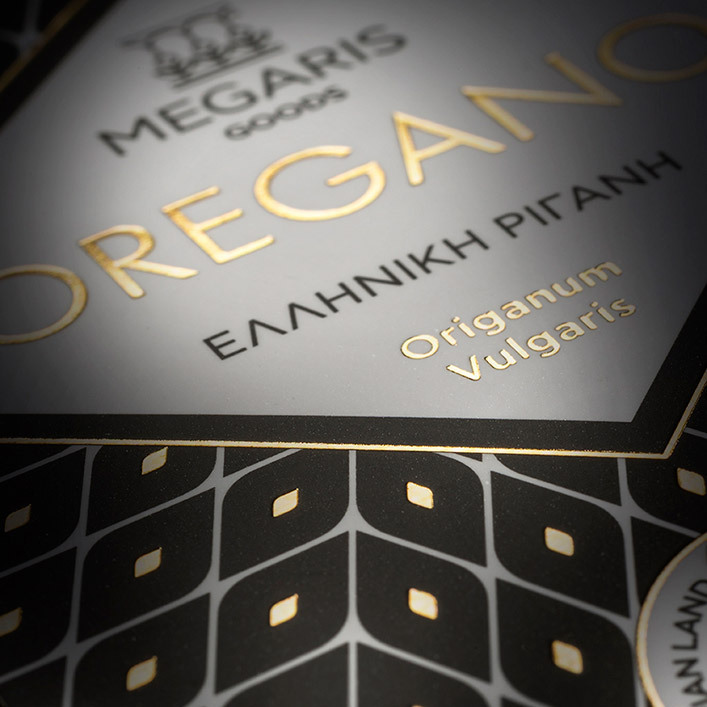 Foil was used to highlight the excellent quality of the product, but also to make the packaging stand out from its competitors on the shelf.